On the occasion of the United Nations Human Rights Council’s main annual session, the Geneva Summit for Human Rights and Democracy assembles each year hundreds of courageous dissidents and human rights champions, diplomats, journalists and student leaders to shine a spotlight on urgent human rights situations that require global attention. 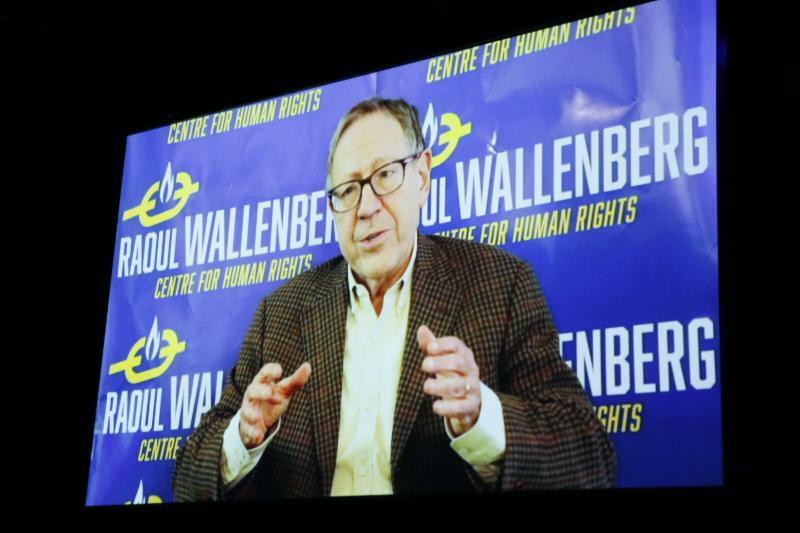 The Raoul Wallenberg Centre for Human Rights is proud to be a longstanding co-sponsor of the Geneva Summit, along with leading human rights NGOs from around the world. Grounded in the success and momentum of the previous gatherings - which have had a wide resonance and been widely acclaimed in the international community - the RWCHR played a leading role in this historic 11th global gathering. After awarding the “Women’s Rights Prize,” RWCHR Director of Policy and Projects, Brandon Silver, and human rights defenders look on as the Laureate delivers her acceptance speech. RWCHR Chair Prof Irwin Cotler addresses the Summit on political prisoners and resurgent authoritarianism.